Gregor Muehlberger won the sixth and penultimate stage of the BinckBank Tour on Saturday in Sittard-Geleen in the Netherlands. Slovenian Matej Mohoric (Bahrain-Merida) kept the overall lead, 30 seconds ahead of Australian Michael Matthews (Sunweb). It was Muehlberger's first stage victory in a World Tour event. 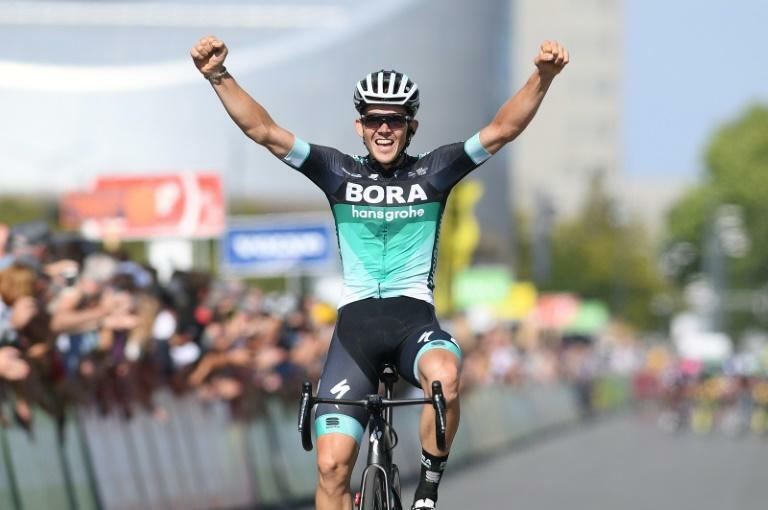 The 24-year-old Austrian, who rides for the Bora team, stole a march on Belgian Tim Wellens (Lotto Soudal) and Czech Zdenek Stybar (Quick-Step) by attacking with a kilometre still to go. "It was not planned in advance," he said. "The circumstances of the race allowed me to try my luck, and it worked."